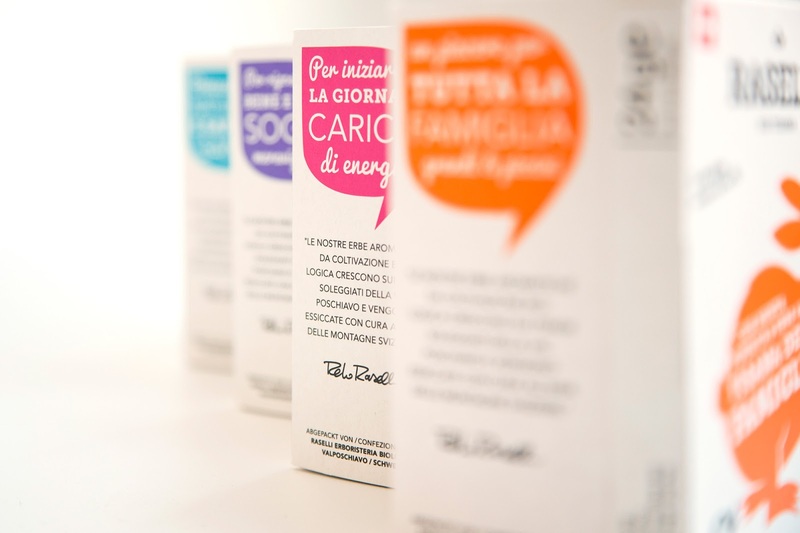 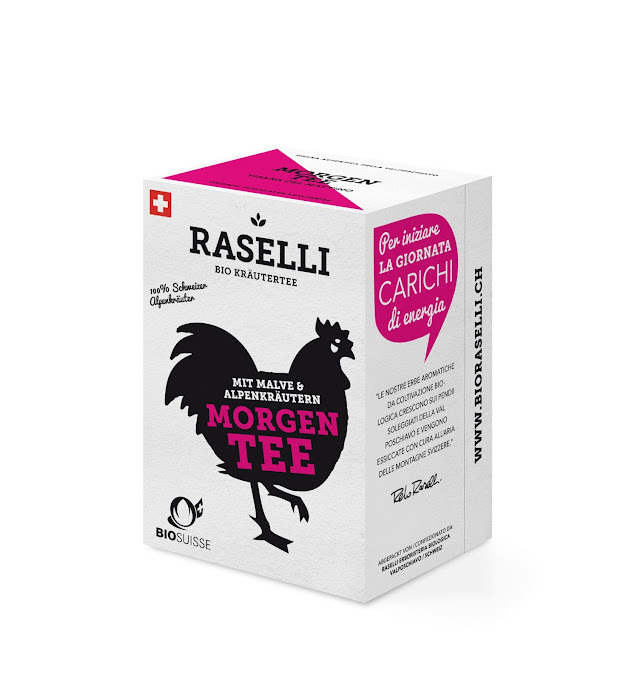 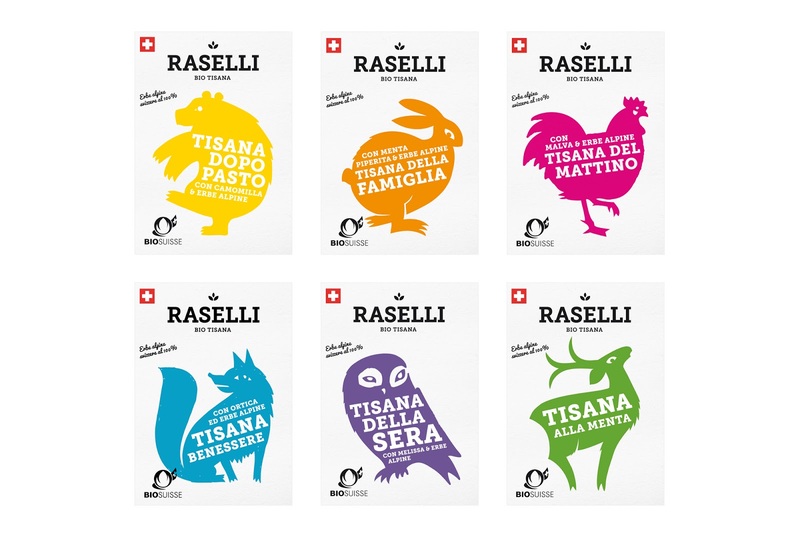 Raselli tea blends are made of organic herbs from the Swiss Alps. 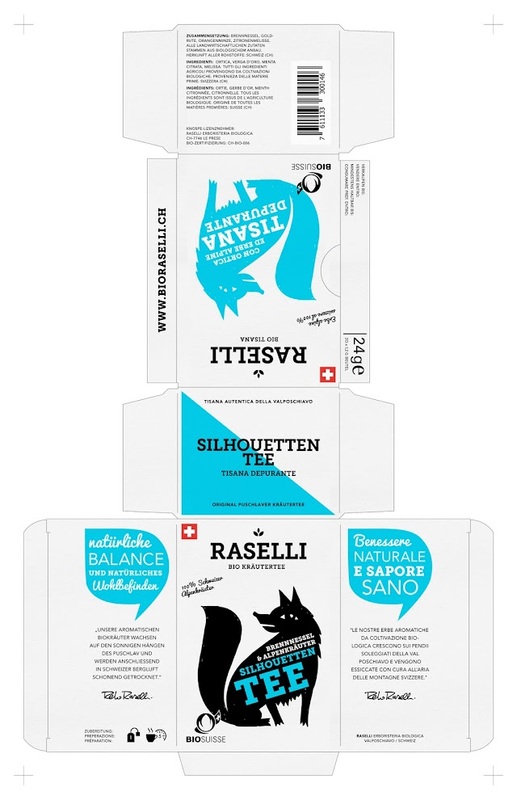 Protective aroma sachets preserve the precious scents and flavors of the natural ingredients. 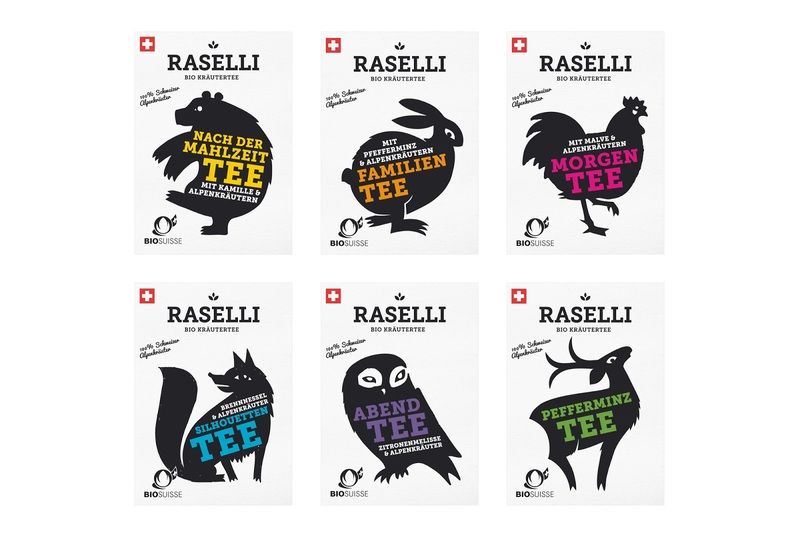 Each blend comes in a unique design featuring a signature color and an animal that is characteristic for the alpine area where the organic herbs are grown. 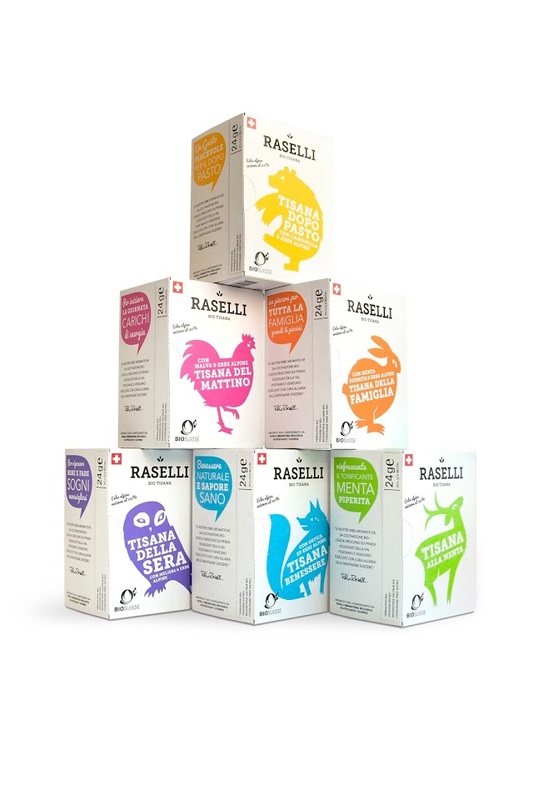 The cardboard surface of the box stands for the naturalness of the product while the bright colors and playful illustrations are a promise of joy and pleasure associated with each cup of this marvelous tea. The design was created by Plasmadesign Studio, a multidisciplinary design agency based in Zurich.